Our “One Stop Shop” will provide all the information and tools you are looking for! Ponce Properties is a Real Estate company providing service to the southern area of ​​Puerto Rico. Our mission is to provide the current solutions for each client and satisfy their needs in Real Estate! We specialize in the markets: residential and commercial. We have agents in Real Estate, Accountants, Appraisers, Lawyers and other professionals waiting to assist you. We maintain the highest service standards. Our agents are Realtors®. 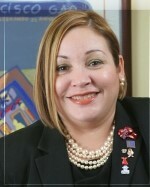 President of PONCE PROPERTIES REAL ESTATE. Graduated from the Pontificia Universidad Católica de Puerto Rico in 1997 with a Masters in Business Administration and Finance (MBA). He obtained the prestigious designations of the “Graduate Real Estate Institute” (GRI) In 2007 he obtained the designation as “Certified Real Estate Broker Manager” (CRB). He is a member of the “Continental WHO’S WHO” and the “Cambridge WHO’S WHO” as a VIP Honorary Member. 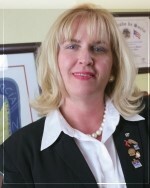 She was awarded the “Outstanding Realtor in the Community of Puerto Rico 2006” award for her dedication and dedication to the community, putting the name of all Realtors® of Puerto Rico on high. He has fourteen years of success and experience in the Real Estate Industry. Its dedication and commitment to excellence make it the leader in achieving the objectives of its clients. Annette, has more than 20 years of experience in successful sales. Their responsibility, professionalism and reliability make it a success to achieve the goals of their clients.